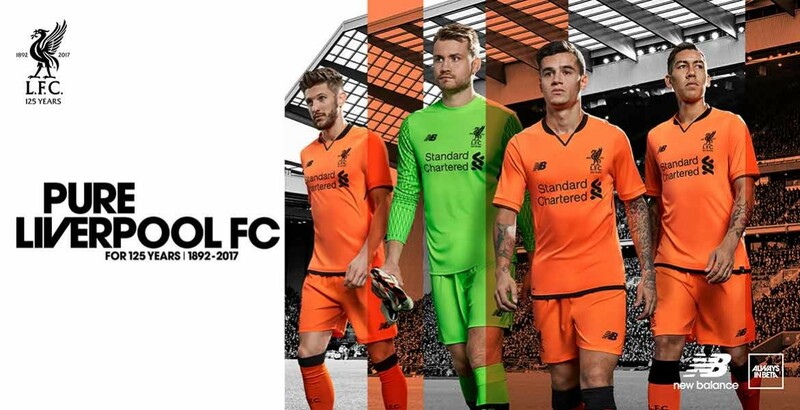 Liverpool FC and New Balance take inspiration from the famous Kop stand, in their new Third kit for the 17/18 season. New Balance have pieced together inspiration from the original wooden signage from the iconic Kop stand, continuing to celebrate iconic periods from the 125th year history of the reds. 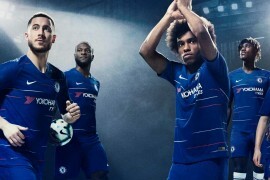 The special 125th year crest sits nicely on the bold, citrus kit. 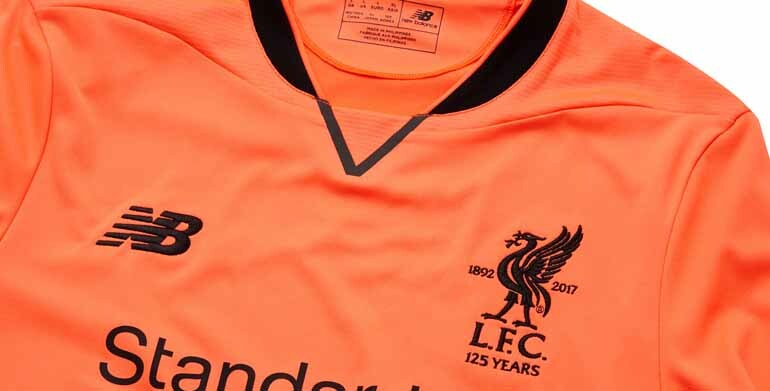 The bold colour kit features a neat black collar and black trims, with both the 125th year LFC crest and NB logo sitting in the same colour. 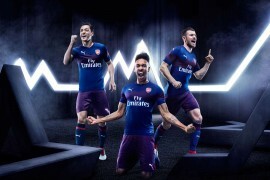 Tested at the Loughborough University’s world leading Sports Technology Institute, the kit is designed with a combination of bonded vents and zonal mesh structures. This provides advanced cooling and performance benefits during intense game time. The under-arms have been created with moisture-activated laser cut vents that open in response to increased perspiration by the player. Scoring in front of the Kop is the best feeling in the world. 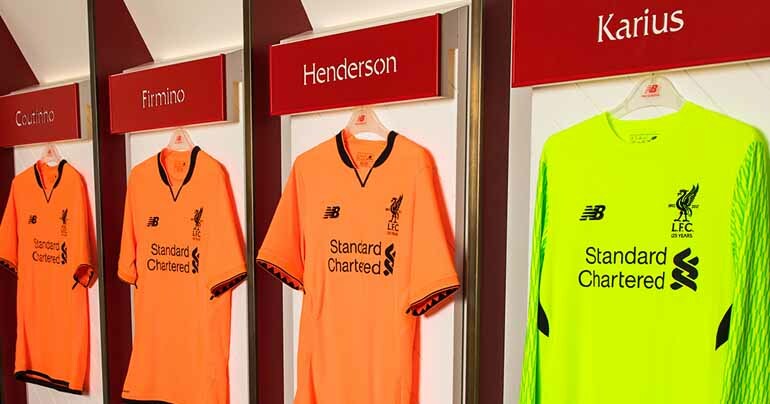 It’s a special place for the whole LFC family so it’s brilliant to see a kit inspired by it. It definitely stands out, I like it and will be a nice reminder of the Kop every time we wear it. Finishing off the performance technology in the shirt, New Balance have added an innovative cage-design to the shirt, with zonal mesh structures in place to provide targeted air flow and a nice, supportive fit. Bold citrus shorts and socks with black trim complete the kit. New Balance have offered more support to the ankle, with built in comfort zones added to the socks. The footbed has also been developed with polypropylene to alleviate excess moisture when the foot makes contact to the boot.